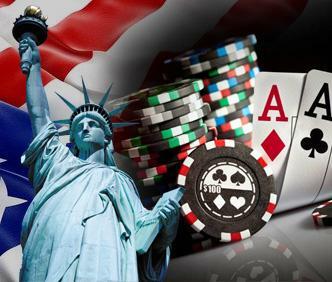 New York finally filed their latest attempt to legalize online poker last month. Unfortunately, it was done so late that it doesn’t give them enough time to push the bill through. However, we also realize that other factors may influence whether an online poker bill in New York moves forward. With that in mind, we’ve come up with three things that need to happen for an iPoker bill to move forward in New York. The continued slide by online poker in New Jersey is not a good sign for the industry as a whole and could be an obstacle for some when considering whether to legalize the game. Online poker has dropped every month this year and is down well over 20% for the year with little signs of picking up in the near future. Many believe that the only way this trend will change is by introducing PokerStars into New Jersey. The online poker giant is rumored to be opening shop later this year and most think that this will result in a resurgence in the online poker market for the state. PokerStars has the marketing power to reach the masses and their promotions will surely bring players back. However, it is debatable whether it will help the industry in NJ rebound. If the industry can rebound back to at least prior levels, this could help sway lawmakers that online poker has staying power if done right. While Nevada may have been the first to launch online poker in the United States, further growth has been minimal. Ultimate Poker shut down and Real Gaming has barely made a blip on the radar. The All-American Poker Network is supposed to launch with Treasure Island becoming the first leg of the network but a date hasn’t been set nor does there appear to be any other sites planning to open on the horizon. Nevada needs to show some type of growth in their market to prove to other states that they are not stymied and that further expansion is possible. Whether this is by opening new sites or having NJ join them in the shared network, something needs to be done sooner rather than later to influence New York. Rumors of a new online poker bill for 2015 began back in December 2014 and then we hear nothing for five months. When the bill was finally introduced in mid-May, there was about a month left to run it through the legislative process. Essentially, the filing was a waste of time. Unless lawmakers just want to pay the issue lip service with no intentions to pass, they need to stat this process sooner rather than later. Look at how much time Pennsylvania has spent on their bill and they are nowhere near taking a vote on the legislative floor. We won’t even talk about California and their legal process. Tagged New York iPoker, New York Online Poker, New York online poker legalization, New York Online Poker Legislation. Bookmark the permalink.